Carole Lombard was the very opposite of the typical 1930s starlet. A no-nonsense woman, she worked hard, took no prisoners and had a great passion for life. As a result, she became Hollywood's highest-paid star. From the outside, Carole's life was one of great glamour and fun, yet privately she endured much heartache. As a child, her mother moved Carole and her brothers across the country away from their beloved father. Carole then began a film career, only to have it cut short after a devastating car accident. Picking herself back up, she was rocked by the accidental shooting of her lover; a failed marriage to actor William Powell; and the sorrow of infertility during her marriage to Hollywood's King, Clark Gable. Lombard marched forward, promising to be positive. Sadly her life was cut short in a plane crash so catastrophic that pieces of the aircraft are still buried in the mountain today. 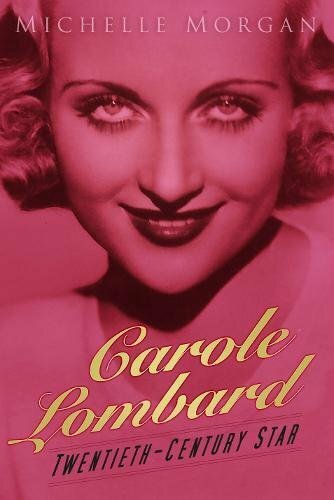 In Carole Lombard, bestselling author Michelle Morgan accesses previously unseen documents to tell the story of a woman whose remarkable life and controversial death continues to enthral. Michelle Morgan is the author of The Ice Cream Blonde, The Mammoth Book of Hollywood Scandals, and Marilyn Monroe: Private and Confidential.